In episode 12, the Story Pirates face Mother Nature's wrath as a perfect storm batters the ship. This week’s episode features two new stories: “Nothing Is Impossible,” a soaring orchestral rock song about a guitar-playing horse named Glitter, written by a 2nd grader from Arizona named Lily, and “Act Like Someone Else Day,” a bizarre tale about identity-swapping, genius dogs and the most boring town ever, written by a 3rd grader from New York named Sam. It’s not too late to submit your name for the Story Pirates’ Ship! Submit your child’s suggestions on social media using #NametheStoryPiratesShip and we might pick YOUR name! 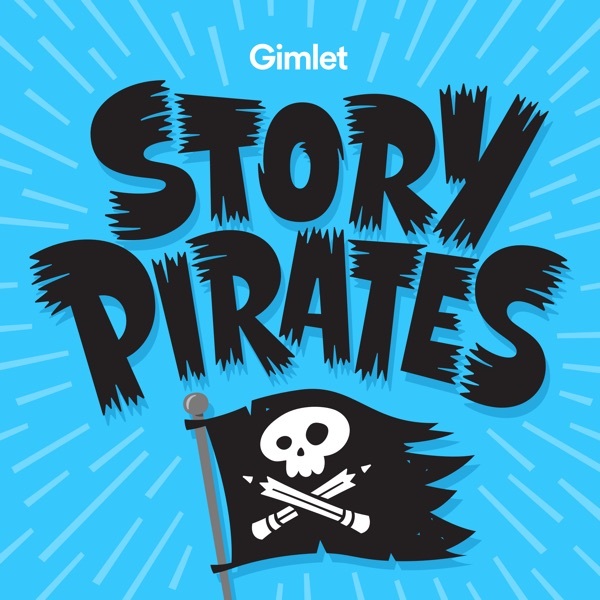 Subscribe wherever you get your podcasts, and use #StoryPirates to share your feedback, thoughts, and more!